Today we had planned on visiting all these museums, the bridge, and downtown, but things never go as planned. We wanted to go to the Golden Gate Bridge but we somehow ended up at the Lincoln one. We then went to downtown and did a little shopping.. but by the time we were done, it was already about 6pm, the museums were already closed. So we headed over to the Golden Gate park, but just drove past it since it was pitch black already. 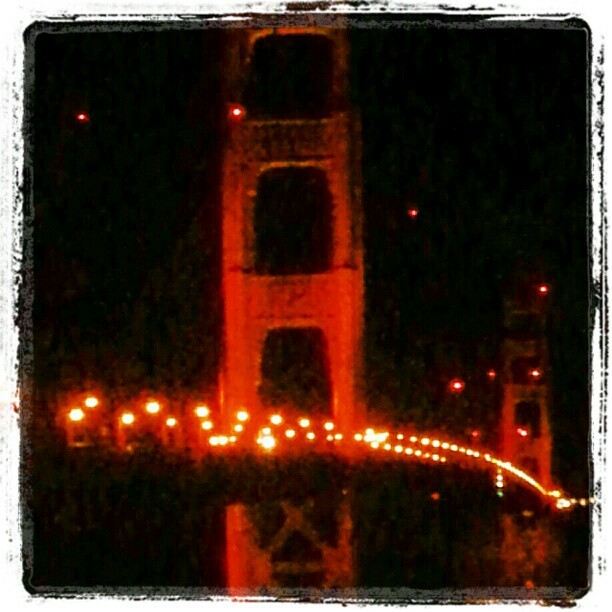 We were just driving around, and next thing you know, we see the bridge. Let me just say, it was truly breathtaking. Things don't always go as planned, but sometimes they end up turning out even better. Hey girl! How long are you staying for? AND I LOVE your blazer!! !